Get your networking design right with the free PSD network icons and clip arts. Replace the dull old stock links with the amazing customizable images and create a more personalized experience for you users. Create illustrative and inviting designs using these best designed icons and instantly expand the reach of your website. The easy to download psd vector files can adapt to numerous themes and backgrounds, ensuring a hassle-free design process. 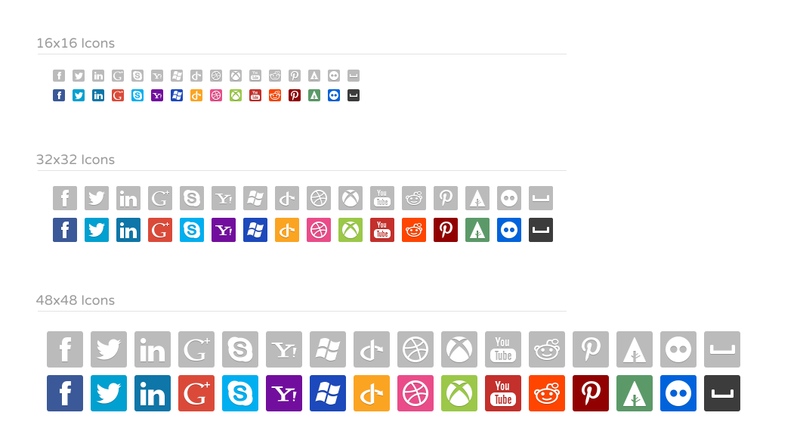 Enable links to every social networking site using cool icons with the customizable/editable PSD vector layers. Whether you need to link your page to Facebook, Twitter, LinkedIn, Pinterest or any other site, create authentic icon links using the best templates. With over hundreds of designs to choose from, no matter what your website’s theme is, you can always be sure to find the right psd files free download. Designs range from clean metro styles to 3D buttons, flip over icons to even neon signs. Go beyond the regular, and add network clip arts to enhance your site’s appeal as well. Add innovative art work to impress your visitors and include functional elements such as network site links. The icon and clip art PSD files can be downloaded as smart layers that can simply be added to any existing template with easy drag and drop options. Change the dimensions, orientation and color styling of the files on-the-fly using simple edit options included as well. Also the best templates allow complete resolution compatibility enabling the icons and clip arts to adapt to any screen size.